One of our Swiss favorites just introduced their newest high-science line of skin care: the Cellular Swiss Ice Aging Collection by La Prairie. 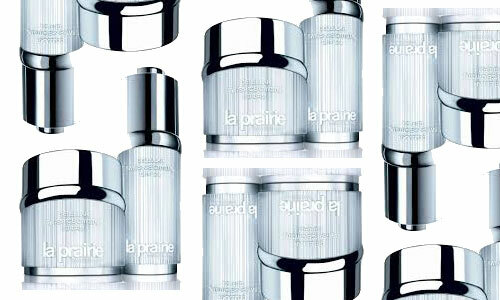 La Prairie goes above and beyond to find key ingredients that change the game in beauty. To them, beauty is a science. Which is why they ventured into their backyard (the Swiss Alps) to find their newest subject. Believe it or not, there are three flowers that live in the Swiss Alps that are able to survive as low as -325* F temperatures. The mad scientists at La Prairie discovered these guys, studied their ins and outs and then created this Cellular Swiss Ice Aging Collection (a cream and dry oil) based on what they saw. In summary (since this is already getting a little technical) these flowers have incredible super-power-esque cells that protect them from the freezing cold, and now you can put these same cells on your skin to protect it from the harmful elements of life that make us do things like break out and wrinkle.